It may be a little cliche but one of my favourite things to do when Christmas arrives is to start the holiday baking. There’s just nothing more festive than listening to Christmas music play with the smell of warm cookies in the oven…especially with ingredients like grated orange peel, cinnamon and cloves which make the whole house smell like Christmas. Holiday baking has been a family tradition since I was a kid and I definitely plan to keep it going. My grandparents came to Canada from Denmark so we have a few recipes that were brought along with them. One of my favourites has to be Danish Brune Kager. They’re most easily described as a version of gingerbread (but definitely have their own unique flavour). The other reason this cookie is an absolute favourite, is they’re actually fully edible (with lack of eggs) and completely amazing to eat raw! Since my sisters and I were kids, we would actually save a piece of the dough in the fridge to eat later…it’s that good!! 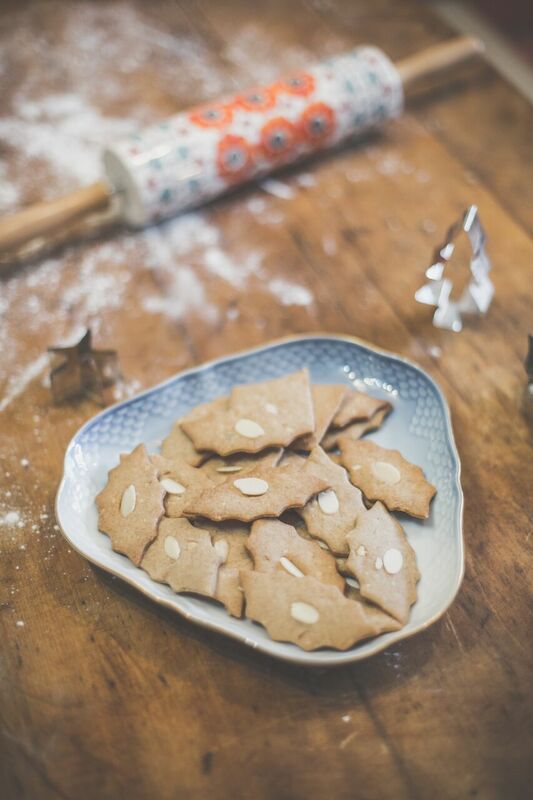 Follow the simple recipe below and enjoy them yourself this Christmas! Melt butter, brown sugar and syrup in saucepan. Combine mixture and remaining ingredients in baking dish. Roll out dough thin and cut into desired shapes. Place slivered almond in center (optional). BAKE at 375°F (190.5°C) until crisp. Brune Kager are a hard textured cookie so they are often served best with a dessert coffee or tea!